Ready for an ‘emergency’ holiday? My boys’ fireman dreams were fulfilled when we stayed at the fabulous Fire Station Inn in North Adelaide. 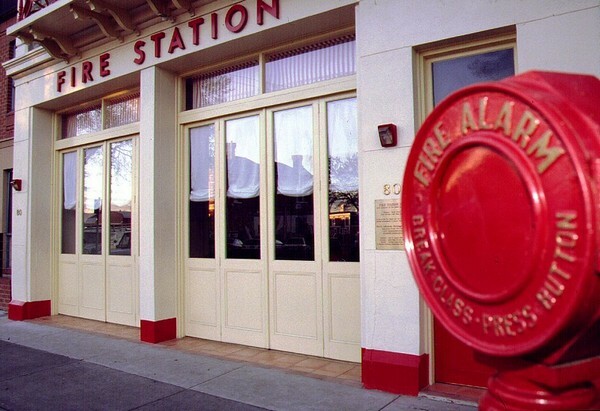 Built in 1866, The Fire Station Inn was Adelaide’s first fire station. Luckily for fire truck enthusiasts everywhere, the station has been converted into luxurious accommodation – with some unique decor pieces. Although there are three suites available at the Fire Station Inn there is in fact only one true option if you have kids – the Fire Engine Spa Suite. 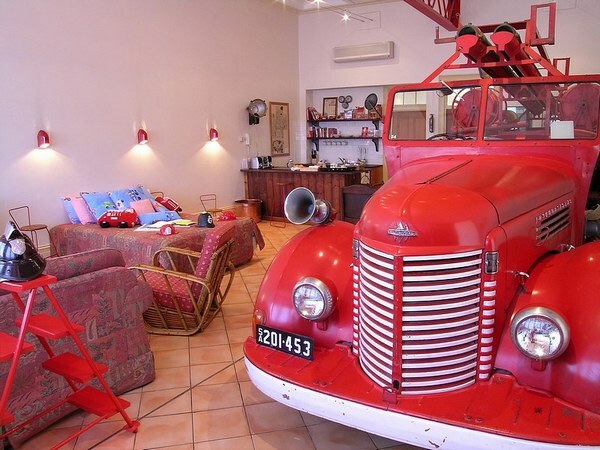 Complete with a real 1942 fire truck at the end of the bed plus a fireman’s pole, fireman dress-ups, a life-sized plaster Dalmatian and oodles of fire engine memorabilia, toys and books, the room has to be seen to be believed. My boys put in a good few hours driving the fire truck, arranging the fireman-related soft toys in the truck, reading the numerous fire truck picture books and swinging off poles and ladders. Thankfully there is no siren! The Fire Engine Spa Suite has a king size bed, double sofa bed, kitchen and a huge spa bathroom. Rates range from $265 to $340 per night, depending on availability. Bookings can be made online. Please be aware that if you book a night in the Fire Engine Spa Suite, the kids are highly unlikely to go to sleep – it’s just too exciting.